For area residents who might want to learn more about the local solar program, the Nebraska Conservation Educational Fund (NCEF) is hosting a tour of both the Fremont Solar Farm and Lon D. Wright Power Plant on Tuesday, June 5 at 4 p.m. The walking tour is free to attend and will include 40-minute presentations focused on both the Fremont Solar Farm and Lon D. Wright Power Plant. The Solar Farm portion of the tour will feature a presentation from Jeff Berggren, GenPro Energy Solutions Nebraska Project Manager. Read more here. The Nebraska Conservation Educational Fund (NCEF) works to build a conservation movement that transcends ideological and political boundaries, and that is led by a broad coalition of Nebraskans who aim to protect our natural resources and ensure that we have a just, secure, and prosperous future. Working as a non-profit, non-partisan organization, NCEF educates the public, media and elected officials about important conservation issues, works to increase public participation in the democratic process and mobilizes a diverse network of people to engage in public policy. This entry was posted in Community-Scale Solar, Nebraska / Midwest News, Solar Energy Education and tagged City of Fremont, Fremont's community solar development, GenPro Energy Solutions, Jeff Berggren, Nebraska Conservation Educational Fund, Nebraskans for Solar NewsBlog, Smart Electric Power Alliance (SEPA) on June 1, 2018 by Helen Deffenbacher. The SUNDA team, with the help of the pilot project’s participating 17 rural electric cooperatives, utilized lessons learned from their deployment of 30 megawatts of photovoltaic (PV) solar to develop tools and resources that help other cooperatives to deploy solar in their own communities. The National Rural Electric Cooperative Association (NRECA) was one of three recipients of the Innovative Partner of the Year Award in recognition of the SUNDA Project. 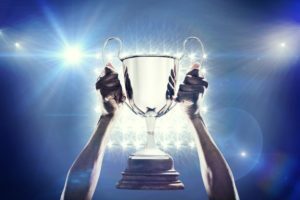 This category recognizes a non-utility partner for a unique method, project, leadership, or innovation that has aided in the expansion of or access to distributed energy resources while working with one or more utilities. At least 150 NRECA member co-ops provide off-peak charging rates for EV users. Dozens of electric co-ops across the country have programs that implement charging infrastructure in their service territory. This entry was posted in Community-Scale Solar, Electric Vehicles, Nebraska / Midwest News and tagged National Rural Electric Cooperative Association (NRECA), NRECA member cooperatives, NRECA's SUNDA Project, rural electric cooperatives' solar development, SEPA's 2018 Power Players Awards, Smart Electric Power Alliance (SEPA) on May 29, 2018 by Helen Deffenbacher. At the end of 2015, there was just north of 25 gigawatts (GW) of solar PV installed in the United States. Now, after back-to-back years of double-digit gigawatt growth (15 GW in 2016 and 10.6 GW in 2017), the solar industry has more than doubled its total installed capacity to 53.3 GW through the end of 2017. The release of the U.S. Solar Market Insight 2017 Year in Review finds that the solar industry is doing pretty well, even after a year of obstacles, from the trade case to a number of state policy actions. Read more here. Utility-scale proposed projects have begun piling up at the federal agency as the 30% Investment Tax Credit ending starts appearing on the horizon. Massachusetts Gov. Charlie Baker’s administration has introduced legislation to create a new Clean Peak Standard for utilities to increase the use of clean energy during high-demand periods that are also carbon intensive. In the New South, customer demand is showing utilities the dollars and sense in solar, Utility Dive. Once reluctant Southeastern utilities now see solar as a deal they can’t refuse. This entry was posted in NewsBlog and tagged global solar market, national solar news, renewable energy news, Smart Electric Power Alliance (SEPA), Solar Energy Industries Association, solar+storage, U.S. 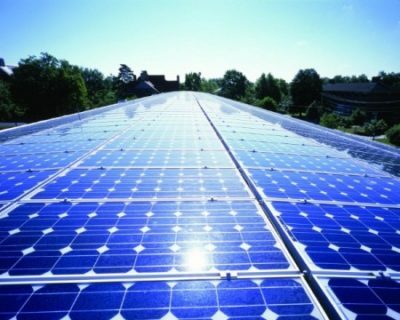 Solar Market Insight Report 2017 on March 16, 2018 by Helen Deffenbacher. Few think of rural towns as the perfect case study for community solar, but they don’t know Fremont, Nebraska. The town has a long history of environmental stewardship and latent demand for renewable energy. When Brian Newton arrived in Fremont as the new Utility General Manager, he set about discussing the possibility of a community solar farm for his customers. Through a series of public meetings, Brian was able to launch, and twice expand, the community solar farm within seven weeks. This case study lays out the principles and tactics Newton undertook to ensure the 1.55 MW community solar farm was a success. Click here to read more and to download the free research report. Learn more about Fremont’s Community Solar Farm by watching this YouTube video. 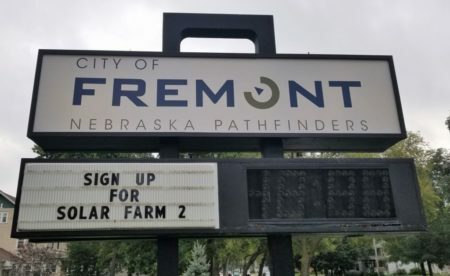 This entry was posted in Community-Scale Solar and tagged Brian Newton - Fremont Utility General Manager, City of Fremont, community solar development in Nebraska, Fremont Solar Farm, Smart Electric Power Alliance (SEPA) on January 4, 2018 by Helen Deffenbacher. According to a new report by the Smart Electric Power Alliance (SEPA), utilities are about to enter the energy storage market in a significant way. The survey, based on responses from 115 utilities, shows that 72% of them are planning on offering behind-the-meter energy storage opportunities for their residential customers, while 80% plan on offering programs to their commercial/industrial customers.. Read more here. This entry was posted in Energy Storage, Nebraska / Midwest News, NewsBlog, Research and tagged Nebraskans for Solar, Smart Electric Power Alliance (SEPA), U.S. energy storage market, utilities' behind-the-meter energy storage opportunities for customers on September 6, 2017 by Helen Deffenbacher. Every year, the Smart Electric Power Alliance (SEPA) crowns the top U.S. utilities for solar, and with the release of its 10th annual utility market survey, the group has now launched additional rankings for the utilities leading on energy storage. “One of the reasons we started the utility solar top 10 lists back in 2007 was to highlight the key, but often unrecognized, role utilities were taking in putting new solar on the grid,” explains SEPA President and CEO Julia Hamm. 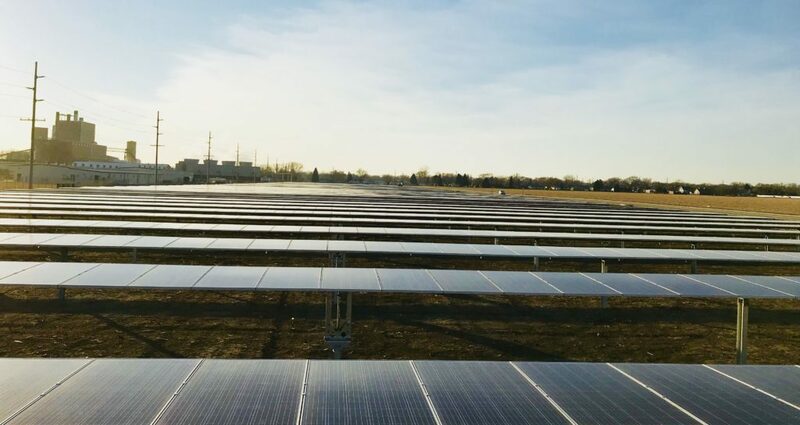 “With utility-scale solar now well established as a mainstream power source, we wanted to similarly recognize utilities’ leadership in realizing the full potential of storage to drive critical system changes that will benefit customers and the grid.” Continue reading. City Utilities of Springfield, Mo. to partner on storage project, Public Power Daily, American Public Power Association. The $1 million project will be one of the first such storage systems — if not the first — in the Midwest. California energy-storage bill passes committee, PV Magazine. Senate Bill 700, if passed, would require the state’s utilities to create rebate programs for customers that install energy-storage systems to accelerate their proliferation. This entry was posted in Energy Storage, NewsBlog and tagged corporate renewable energy procurement, Nebraskans for Solar, renewable energy, Smart Electric Power Alliance (SEPA), solar+storage on April 26, 2017 by Helen Deffenbacher. 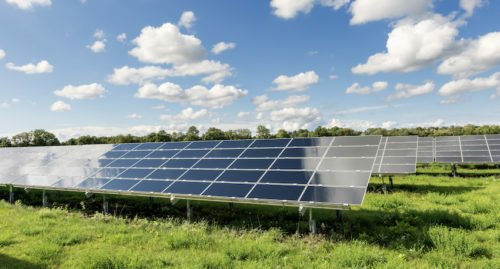 Through funding support from the U.S. Department of Energy’s Sunshot Initiative, the nonprofit Smart Electric Power Alliance (SEPA) is able to provide technical assistance to parties currently pursuing or interested in pursuing a community solar program. The structure of the assistance will depend on the needs of the recipient and on SEPA’s capabilities. Apply online to be considered for this opportunity. SEPA began informing the first successful applicants on April 8, 2016. This opportunity will remain open through 2017, and applicants will be considered on a rolling basis. Have a question? Need more information? Contact Dan Chwastyk at dchwastyk@solarelectricpower.org. This entry was posted in Community-Scale Solar, Nebraska / Midwest News, NewsBlog and tagged community solar development in Nebraska, Nebraskans for Solar, Smart Electric Power Alliance (SEPA), U.S. Department of Energy's SunShot Initiative on May 18, 2016 by Helen Deffenbacher. Shared renewable energy arrangements allow several energy customers to share the benefits of one local renewable energy power plant. When the power is supplied strictly by solar energy, it is sometimes called “community solar.” The shared renewables project pools investments from multiple members of a community and provides power and/or financial benefits in return. There are 25 states with at least one community solar project on-line, with 91 projects and 102 cumulative megawatts installed through early 2016. At least 12 states and D.C. have recognized the benefits of shared renewables by encouraging their growth through policy and programs. Four states — California, Colorado, Massachusetts and Minnesota — are expected to install the majority of community solar over the next two years. The next five years will see the U.S. community solar market add an impressive 1.8 gigawatts, compared to just 66 megawatts through the end of 2014. 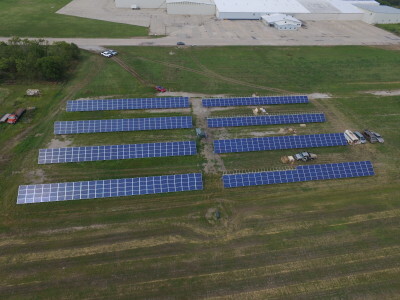 This entry was posted in Community-Scale Solar, Nebraska / Midwest News, NewsBlog and tagged community solar development in Nebraska, Nebraskans for Solar, Smart Electric Power Alliance (SEPA), Solar Energy Industries Association (SEIA) on May 3, 2016 by Helen Deffenbacher.